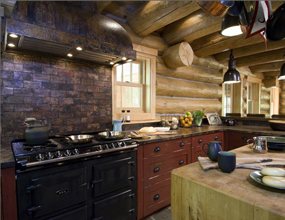 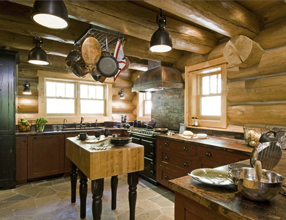 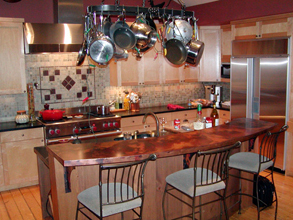 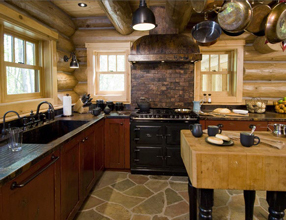 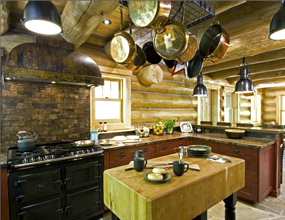 Custom Countertops - #2966 | Handcrafted Metal Inc. 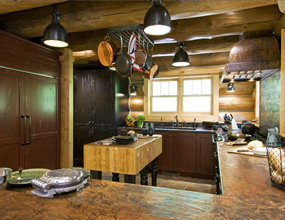 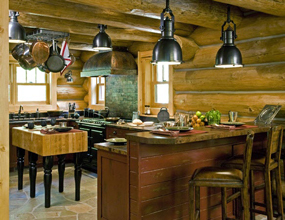 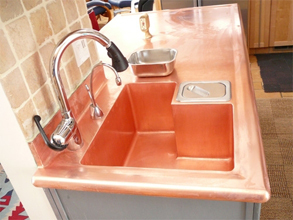 The raised farm sink sets this extra wide island apart from others. 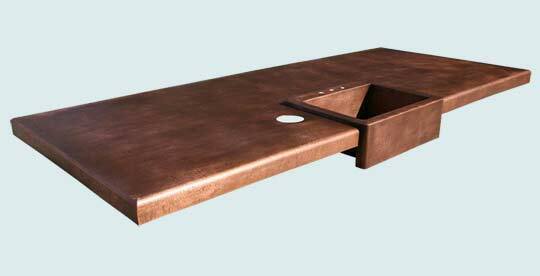 The island deck is reverse hammered, and the surface mount raised farm sink is random hammered. 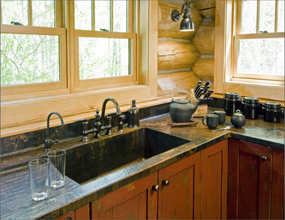 The trash chute to the left of the sink is a collar welded into the deck. 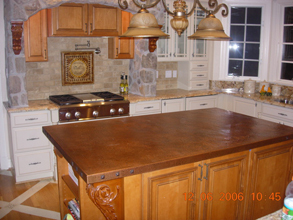 Our Claire edge at 4 inches tall gives this island a substantial, classic style. 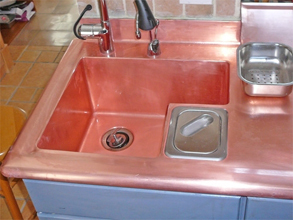 Deck reverse hammered copper, sink random hammered copper, medium antique patina.